Today on the UCW Radio Show UCW Radio Show Host Louis Velazquez had the unique opportunity to have on the founder of Omni Consumer Products (OCP) Pete Hottelet, he is the brainchild behind a company that has spawned a new and groundbreaking marketing craze by bringing fictitious brands shown in movies and television series’ to life. 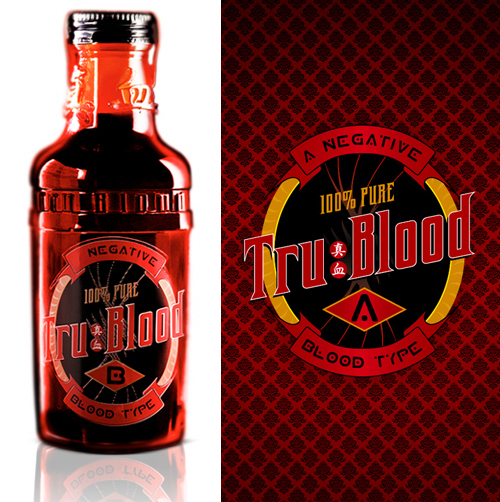 His latest endeavor is Tru Blood, this is the popular drink of vampires on the HIT HBO series “TRUE BLOOD”, and due to the vision of Hottelet and a journey that was in effect well before the premiere of the first season of True Blood, now fans worldwide can be a part of the show by picking up a 2 pound glass of Tru Blood the Drink, it is an exact replication of the drink in the series and of course this is in a direct partnership with HBO. 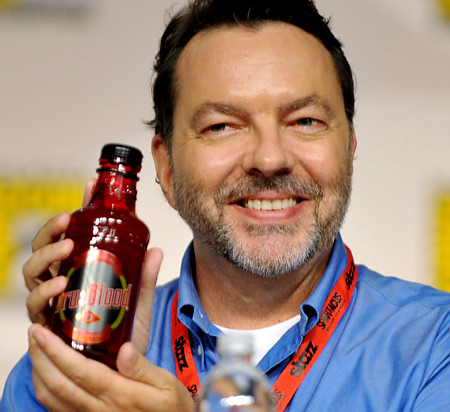 The drink which can be purchased now on their official websitewww.trubeverage.com , comes in red glass bottles made to look like the drink served on the series. The main difference being that the beverage consumer will be drinking is blood orange flavored soda rather than synthetic blood. I don’t think that the marketing would’ve went well with a drink that had a blood like taste, people they are trying to reach a mainstream consumer base and not the select few, sorry to disappoint you. 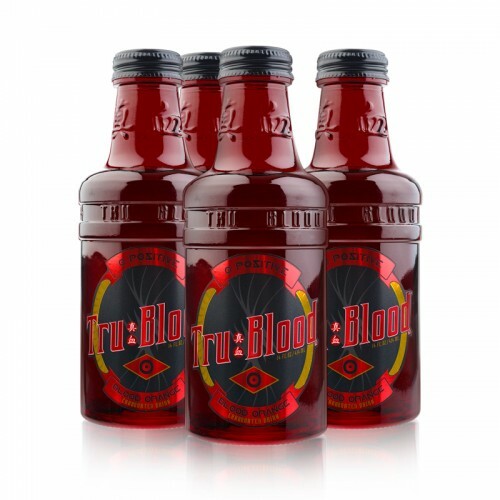 The drinks can be ordered in 4 packs from HBO’s True Blood website at around $16 per 4 pack or approximately $4 a bottle plus shipping, now compare that to can of red bull or a coffee from Starbucks and you are not too far off. For those that do not want to pay the shipping, well you can wait for it to hit your local FYE or Borders, and you can buy it by the bottle and connect with the show in that way. 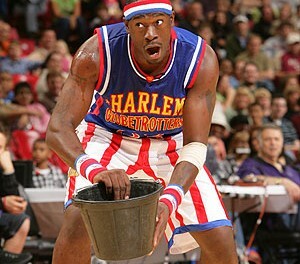 Most marketing campaigns for a film or TV series, as far as beverages go, entail a plastic cup at McDonalds or Burger King with the pictures on it, years ago you actually has collectors glasses of your favorite sports team, so this is an evolution in the marketing strategies being launched at studios and in my opinion it is only the beginning. Granted at this point Tru Blood is identical in every way to the drink in the series but I am certain that there will be a number of ties ins, contest and more that will be exclusive to Tru Blood the beverage and True Blood the series, it just makes all the sense in the world. Look for Tru Blood to create lots of buzz when it hits the stores, although True Blood the series is more geared towards adults, with Alan Ball behind the show and a series of books lined up and more being written, the longevity factor is in place so expect Tru Blood the beverage to just increase in popularity once its available for mass consumption.